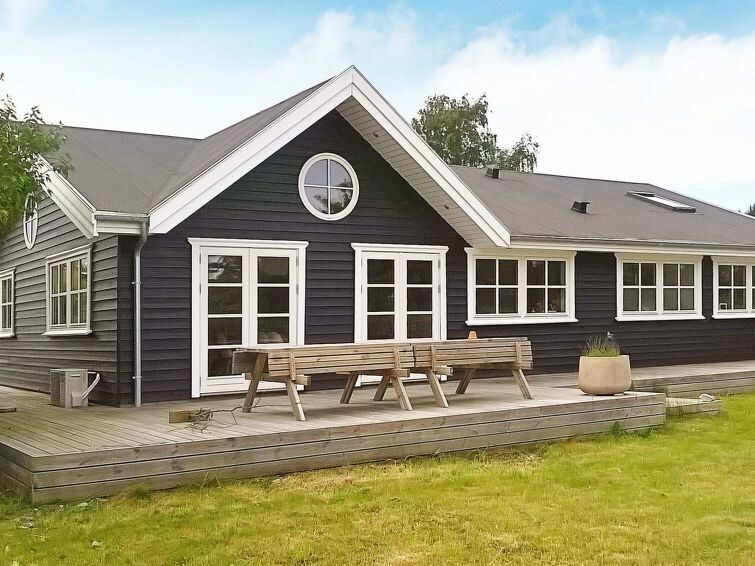 A well arranged and spacious holiday cottage located in a peaceful, quiet and scenic area with only 150 metres to the fjord. 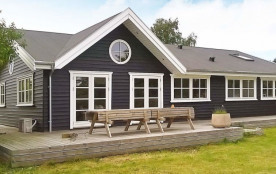 The cottage is open, bright and has a mezzanine where children can relax and enjoy themselves. The kitchen is open with modern appliances, separated from the dining and living room with a half-wall. There is an air/air heat pump and a fireplace. The kitchen, bathroom and hallway all have tiled and heated floors. The other floors of the house are wood. From the dining room and living room you can access the terrace, that goes the whole way around the house. Every summer the a bathing jetty is installed in the common area. The TV is located on one of the childrens bedrooms. The TV is connected to Apple TV and not an ordinary TV antenna.